This Portfolio contains images of clothes that Ken has made for past clients, over the last ten years. 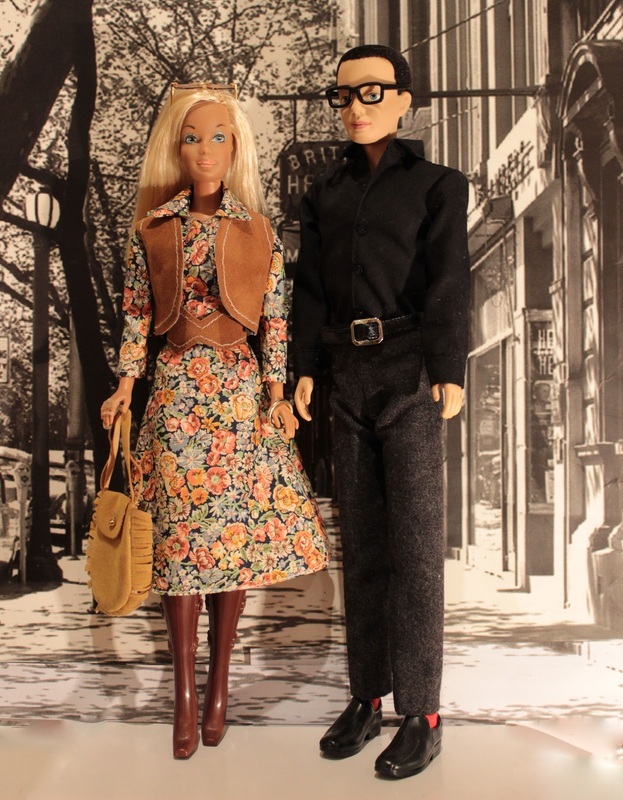 Malibu Barbie looks good in her Liberty of London Tana Lawn blouse and skirt. Combined with a suede look bolero and belt, it ties in with her vintage genuine Barbie handbag. Malibu Barbie sports a mod style travelling ensemble. Wool felt in hot pink and chartreuse make a striking statement and co-ordinate with her suitcase and hot pink accessories. 'Leather' and fur make a striking 1970s style outfit for this Barbie. A chain belt with fur tassels matches the trimmed jumper. Barbie wears her vintage genuine pilgrim shoes. Swirl ponytail Barbie looks demure in this Liberty of London Tana Lawn blouse and skirt. A silk belt finishes the waist.